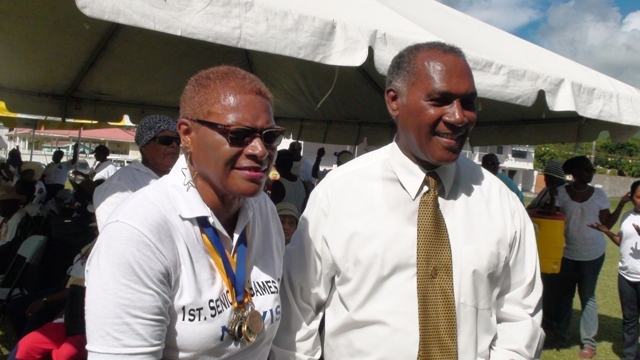 NIA CHARLESTOWN NEVIS (October 21, 2015) — The Nevis Island Administration (NIA) continues to demonstrate that from the cradle to the grave, everyone matters. 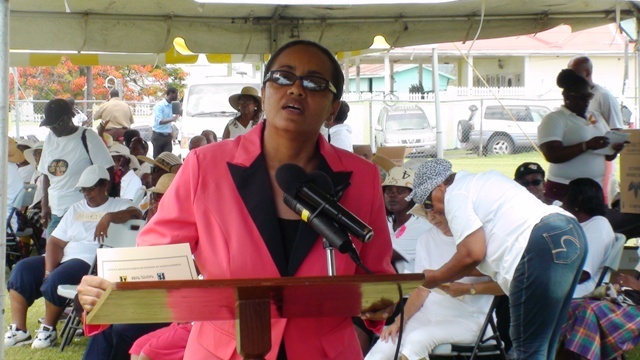 Senior Minister of Social Development on Nevis Hon. 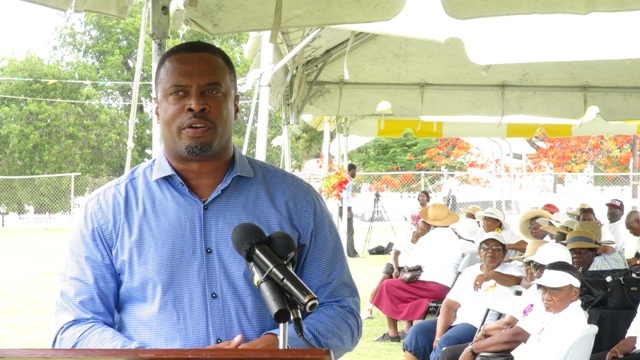 Mark Brantley, reiterated the Administration’s position when he delivered remarks at a ceremony, to herald the start of the inaugural Nevis Seniors Fun and Action Games. The historic event initiated by Community Mental Health Nurse Manager Meredith Amory- Field and hosted by the Seniors Division in the Ministry of Social Development. It was held at the Elquemedo Willet Park under the theme “Promoting Mental and Physical Health Participating in Seniors Fun and Games” on October 15, 2015. Mr. Brantley’s remark predicated the inclusion of seniors in the island’s economy. According to him, although the idea of the Nevis Seniors Fun and Action Games was introduced by Amory-Field, it was embraced by the Nevis Island Administration. He reminded the island’s seniors that they laid the foundation for a modern Nevis and it is only fitting that the Administration showed them that they matter. He encouraged them to partake of all that the island has to offer because of their contributions to the development of the island. Meantime, Premier of Nevis Hon. Vance Amory, views the Seniors Fun and Action Games as a revolution. “People would be able to see that they still have some life skills which would benefit them physically in terms of health and social activities,” he said. The Premier acknowledged that the NIA’s goal is to ensure the island’s seniors are provided with the opportunities to socialise. Mr. Amory articulated, that one can be advanced in age without having to sit at home on the couch. He promoted the games by telling the participants it was a good way of enhancing their status amongst friends and like the world renowned Jamaican athlete, Usain Bolt, they might be able to say I won. Mr. Amory reinforced the fact that this historic event would be the first of many such activities. Minister of State for Health and Social Services in the Federal Government, Hon. Wendy Phipps, in remarks supported the United Nation’s claim that the traditional naming of the month of October as the Elderly month is politically incorrect as was demonstrated by the patron’s untamed energy. Referring to the sub-theme of the month “nothing for us without us” Ms. Phipps said the Government cannot implement programmes without taking the seniors into consideration and it is incumbent on the Administration, to recognize the older persons for the contributions that they have made.